SADZA – Congregants of the Apostolic Faith Mission (AFM) church in Zimbabwe at Sadza in Chikomba have demanded for the removal of Pastor Dennis Phiri on allegations that he is supporting Cossum Chiyangwa. Chiyangwa is fighting the church’s president Aspher Madziyire who has proposed sweeping changes to the church’s constitution that will see pastors getting salaries. The congregants have vowed to leave the church unless Phiri is fired. Sources who spoke on condition of anonymity said the congregants were so angry that they will rather find a new gathering point if Phiri does not leave. Pastor Phiri said he had no comment but later on contacted this reporter and said these were mere allegations and lies because he never did that. “I have no comment for that. I want to know who gave you my number because those are lies. In church everyone should abide by the truth,” said Pastor Phiri. The Mirror has in its possession the document which was signed by Pastor Phiri and 13 other pastors from Mashonaland East Province which showed that they were passing the vote of no confidence against Reverend Madziyire and his entire National Executive. The document is dated September 24, 2018 and is also stamped. The congregants also accuse Pastor Phiri of insulting the congregants who attended service on October 7, 2018 by calling them children of dragons. He allegedly declared that he would dissociate himself with anybody who was against Chiyangwa. “We are no longer able to pray like we used to because of Pastor Phiri. On October 7, he insulted us saying that we were children of dragons and he will never associate with us because he is moving to the breakaway side being led by Reverend Chiyangwa. We are asking AFM leaders to immediately address this situation before it goes out of hand. We want a new pastor, that is all we are asking for,” said the source. AFM general secretary Amon Madawo said he was not aware of the situation when called for a comment by The Mirror. He however said that he was going to investigate. “I am not aware of the situation, hence I cannot comment. Since you have brought the issue to my attention I am going to investigate. I will also check with the provincial overseer on what is actually taking place on the ground,” said Madawo. 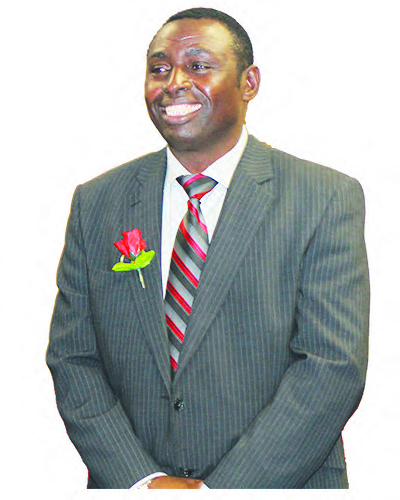 Pastor Phiri spent 10 years at Sadza. The insult on members sparked a revolt and he was asked to apologise for his statements the next Sunday but he allegedly refused to do so.